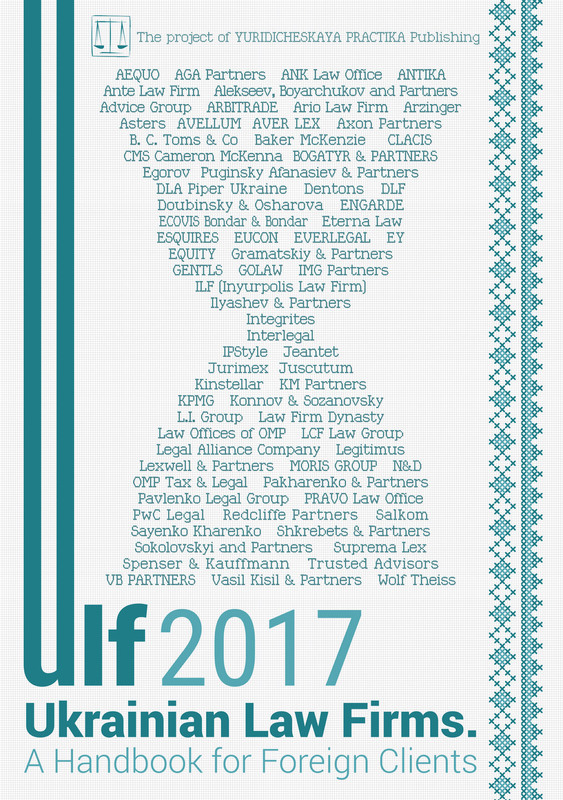 Spenser & Kauffmann is one of the leading full-service law firms in Ukraine. Since its foundation in 2006, Spenser & Kauffmann aims to provide its сlients with the highest standards of legal advice and exemplary service. We represent our сlients in all areas of business law, including mergers and acquisitions, corporate, antitrust, intellectual property, IT, labor & employment, insurance law, banking and finance, capital markets, construction, energy & natural resources, enforcement proceedings, private clients, tax consulting and litigation. Throughout the last ten years, our firm has been recognized among the leaders by various prestigious international and domestic rankings in different legal spheres. Our lawyers speak English, French, German and Czech, which allows us to understand and communicate with domestic and international сlients without psychological or language barriers. Economic and political crises generate disputes in which often one party is a creditor and other is a debtor who owes money or other assets to the creditor. This involves not only defaults on loans, but also disputes which arise from joint venture agreements, sale and distribution contracts, corporate conflicts, etc. (iii) inefficiency of Ukrainian courts and enforcement authorities. Unfortunately, the chances for a creditor to obtain recovery do not increase even when the debtor’s actions involve fraud or other wrongdoing. In such situations, a creditor should consider debt recovery measures outside Ukraine. Such international actions are particularly relevant in high value claims where the debtor’s business activity, or at least corporate structure, is not limited to Ukraine. The Courts of England & Wales are, rightly, considered as particularly helpful to assist in finding the international assets of Ukrainian debtors. What support can be provided or gained through English courts of law? In order to receive support from an English court, the claimant does not always need to show that the underlying case is governed by English Jurisdiction. The High Court of England & Wales has well established practice of issuing orders, including freezing injunctions, in support of foreign proceedings, including in Ukraine, and arbitrations. Worldwide Freezing Orders, which secure a debtor’s asset once they are discovered. Pursuant to a Norwich Phamacal Orders innocent third parties that were dealing with the debtor must disclose information about the debtor. Such third parties are frequently the companies and/or persons providing nominee services. So, a Norwich Pharmacal Order is particularly useful for tracing assets through a complex web of corporate structures/trusts. (iv) breach of the order can result in contempt of court and imprisonment of up to 24 months. Another aspect that distinguishes interim orders in England and Wales is the fact that they are usually granted ex parte, i.e. without notice of the party against which it is issued. Hence, a person, who is the ultimate beneficial owner of the business only gets to find out about the WFO when the order is already issued and is immediately effective. The debtor will have the opportunity to set out his case at the return date. However, in the meantime, he will be at risk of imprisonment if he deals with his assets. When Should You Consider Going to English Courts? — there are related arbitration proceedings in England and Wales. Establishing the jurisdiction of an English court is an important step towards receiving a WFO, but is not wholly determinative. The creditor also has to show to the court that he has a good arguable case and there is a risk of dissipation of the debtor’s assets. When to issue First Instance Proceedings? If a debtor is resident in England and it appears there is little prospect of him returning to Ukraine, first instance proceedings can be issued in England for breaches of Ukrainian law/contracts. The defendant cannot deny the jurisdiction of the English court and the English court will (subject to certain conditions) apply Ukrainian law (Civil Code and/or contract) with the assistance of expert evidence to determine the dispute. The idea is that the debtor should not be able to run away from justice by “hiding” in England. Preparation, preparation and more preparation is the key ingredient for success in a case involving an obtaining interim remedy from an English court. To be successful, in addition to having an excellent English and Ukrainian legal counsel, a creditor will usually need to engage an investigation firm in order to trace the debtor’s assets. The assistance of other international lawyers (Cyprus and the BVI are common jurisdictions) to assist with enforcement of the order may also be required. The efficiency of an English court in debt recovery actions has been shown in practice in a number of cases, including those related to Ukraine and other former Soviet Union countries: in JSC Mezhdunarodniy Promyshlenniy Bank and Another v Pugachev the High Court in London sentenced Russian businessman Sergei Pugachev to two years in prison for contempt of court (Mr Pugachev was found to have breached several worldwide freezing orders made by the High Court relating to money he allegedly stole from the Bank); in BTA Bank v Ablyazov and Vseukrainskyi Aktsionernyi Bank v Maksimov an English court was heavily involved. An English court considers its role as supportive of other jurisdictions in exercising its powers, but it does not seek to supersede them. English courts provide a number of tools to assist in effective asset recovery with respect to Ukraine-related matters. To be effective in obtaining interim remedies provided by an English court, a client will need an efficiently run, professional team of both Ukrainian and English lawyers working together with investigators/accountants.